Episode 106: What is a Culture Code? Get the latest ideas, strategies, and real-life stories that will help your business grow. Create an amazing company culture, develop effective business strategies, and deliver outstanding customer experiences - in other words - become more inbound. Because to do inbound you must be inbound. Companies create culture either intentionally or unwittingly. Creating a culture code allows you to take an active role in purposefully and mindfully creating your culture. Your culture code signals, both internally and externally, the values and beliefs your company is committed to. 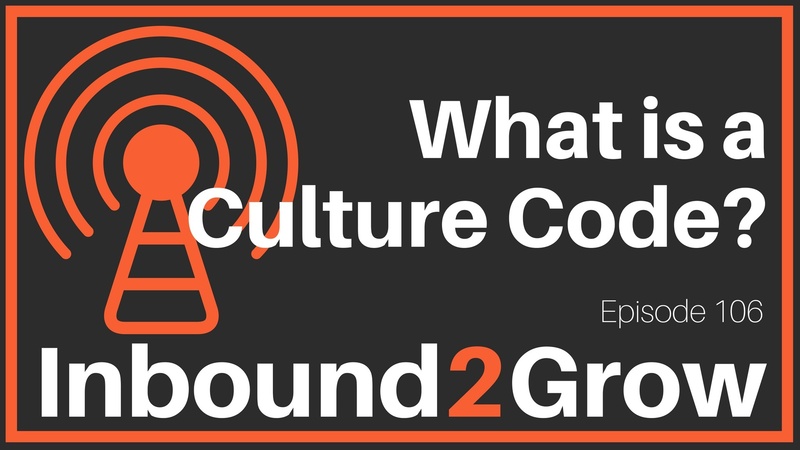 So, what is a culture code? [0:42] Question: What is a Culture Code? A culture code serves a number of functions both internally and externally. From the standpoint of internal leadership, it forces your leadership to be clear and transparent about the kind of company they are trying to create. It also sets expectations for your employees. Your culture code also functions as a measure of what you say versus what you do and holds your organization accountable. Externally, your culture code signals your beliefs and values as a company. A culture code helps to differentiate you from all other companies. This can play an important part in attracting and retaining the kinds of employees you want to work with. Additionally, the process of documenting your culture code is important in and of itself. Having it shows people that the culture you are creating is something you value. What is a wiki? A wiki is a website that allows everyone in the organization to collaborative edit the content and structure of the site. And Dan thinks that every company needs one! In this week’s rant, Dan tells the story of a HubSpot intern who posts a reply on the company wiki that drastically changes the course of a major change at the company. Thanks to Rebecca Miller our podcast editor, social media coordinator, and blogger and to Zachary Jameson for producing the audio for the podcast. Check out Zachary on Upwork if you need podcast audio services. Create an Apple ID without a payment method.